Pre owned Vintage & Modern Collector Watches and Accessories. Specializing in vintage Heuer, Zenith and other fine Swiss Chronographs. Custom Horological Watch Paintings. 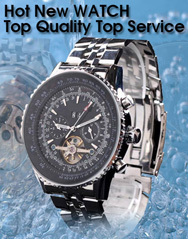 Master Watchmaker Service & Repairs.